IGUARÁN AGUSTÍN GONZÁLEZ: Translated from Spanish. An environmental calamity is recorded in Pajaral, in the Caño Large sector. 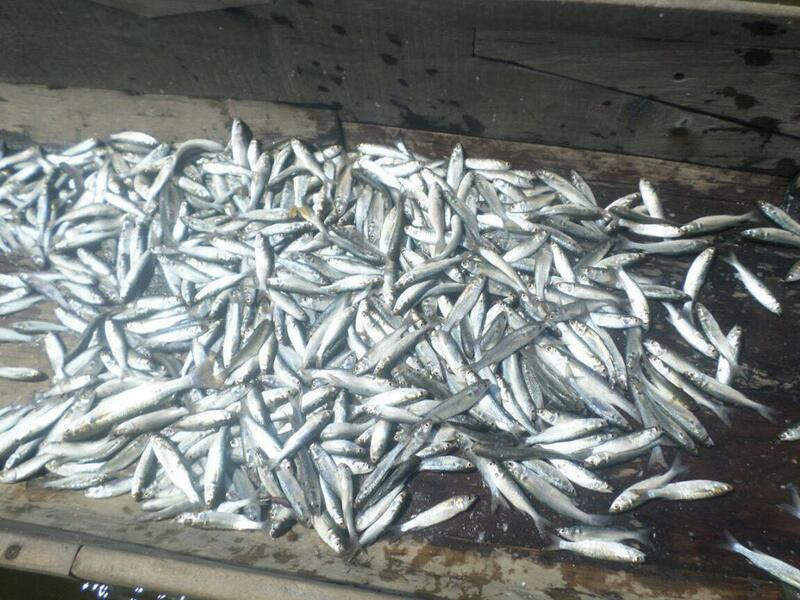 Tens of thousands of fish have died and scientists claims it's from lack of oxygen because of heavy rains. It's the biggest fish kill in ten years and happened on Thursday afternoon in the Ciénaga Grande de Santa Marta, raising alarm among fishermen and the community. Emergency focuses on Pajaral Swamp, industry Caño Grande jurisdiction of Sitionuevo, where thousands of small fish have died from lack of oxygen. Most of the species concerned correspond to smooth, goat and crappie. Alfredo Martinez, assistant manager of Corpamag, said on Thursday night when fishermen in the area launched the alarm, the order for a staff proceed to the area to take water samples were given. He said the death of the fish is caused by lack of oxygen due to the severe drought that have endured in recent months and then with the arrival of winter. The expert says that the fish kill is associated with the rains that remove organic matter is decomposing in the bed and out, consumes oxygen in the swamp. "It is precisely this decrease in oxygen and phosphorus in suspension, resulting in the death of the fish," said marine biologist Sandra Villardy. He further commented that the problem will continue because there are four years of accumulated organic matter in that area and fresh water because it is not going to swamp for many reasons. He warned that what is dying is the food of humans and what is in check is the work of fishermen.